Probably the smoothest ‘lawns’ you’ll ever see are bowling greens and it’s interesting to note they date back hundreds of years, the oldest recorded being before A.D.1299. Whilst it would be nice to think we can achieve the perfect lawn the average garden is not conducive to creating bowling green standards and anyway, the type of grass would not take the kind of punishment we dish out on our garden lawns. We can, however, follow the lead of the professionals to achieve a very pleasing effect by caring for the grass in similar ways as they do. 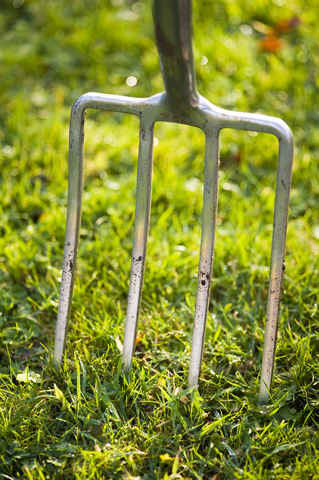 During February the grass will start into more vigorous growth and the tell-tale signs of sponginess and moss indicate the need to aerate and, when weather conditions permit, scarify. If it’s wet then hold off until March (usually March to November would be the time to aerate with a machine or aerator towed by the garden tractor). If you have a lot of moss and you don’t want the unsightly black mess left by using moss killers you can try MO Bacter which is an organic fertiliser, applied from March onwards, which effectively digests the moss leaving no residue. If you’re planning to lay new turf, aim to complete the project before the month ends (weather again permitting). Once your treatment and preparation of the lawn has been done, consider top dressing it – just like the best bowling greens – with a mixture of loam, sand and peat or peat alternative, to fill in dips and hollows and fill the plug holes left by aeration. Top dress in spring and again in autumn, as part of your grass treatment regime and admire the difference in your lawn.